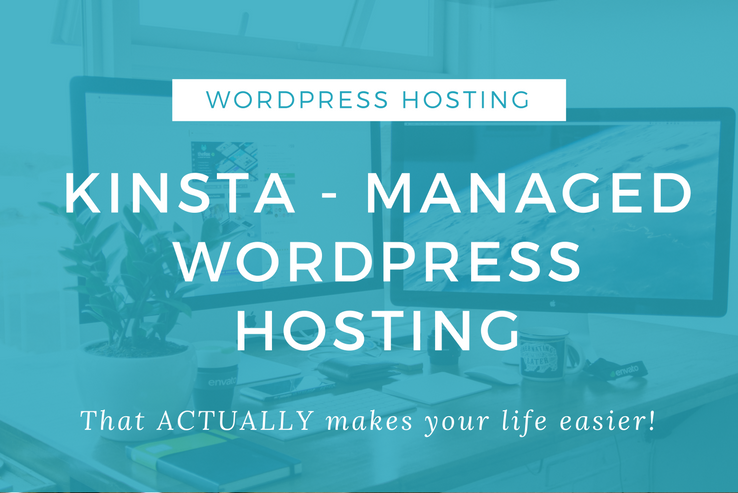 My initial interest in Kinsta came after I read a review that Ionut Neagu had written on his CodeInWP blog. I’ve often found that Ionut and I are facing the same headwinds and moving in the same direction in the WordPress theme world so I hold his words in high regard. He spoke with great conviction about the benefits that he had experienced in terms of page-load times and up-time stability after working out some initial kinks. Reviewing the Kinsta site and pricing added to my interest. It speaks to the values I find most important in business, like security and their commitment to harness the most cutting-edge technology to power the Kinsta platform. But the thing that really sold me was the authenticity I felt behind the service. Their words were not “just” marketing schtick… but also felt like the voice of an organization that’s really trying to create an amazing offering. It’s a hard thing to describe, and maybe it’s just a gut feeling that I get from time-to-time, but I would lump Kinsta into a group of companies like CloudFlare and Loggly, which are driven to “be better” rather than “be richer.” Hat’s off to Kinsta’s marketing and communication team if it’s all a front. I’m not going to do a deep dive into the technical improvements we’ve experienced since our move. Overall, we’ve had better uptime. Overall, we’ve seen an improvement in load times although not a huge difference. Setting up the sites and moving our old data to Kinsta was shockingly easy. These are all good things. I realized something during my tumultuous year trying to get my sites stable at Media Temple. I’m in the business of selling WordPress themes, but for much of the year, you could have confused me for an aspiring sysadmin for all the hours I spent digging into hosting forums and technical specs trying to identify how to troubleshoot issues. I was in the process of letting my core business fail and Media Temple was loath to assist. For this reason, I was desperate for a hosting provider that would take my concerns seriously, respond promptly, and update me and my team as issue resolution progressed. Not only did Kinsta meet these expectations but they have set a new bar in my mind for how support should be provided! Every request is responded to within minutes, with a courteous and proactive tone, and progress is reported on a regular basis as the diagnostic process is completed. I have been so impressed by Kinsta’s support that we’re looking at how to integrate the systems I see Kinsta using into our theme foundries and new ventures. It happens seamlessly via your Kinsta Dashboard where a persistent chat icon resides in the bottom right-hand corner of your screen. Simply click the icon to open the chat window and select the conversation you want to extend or open a new ticket. 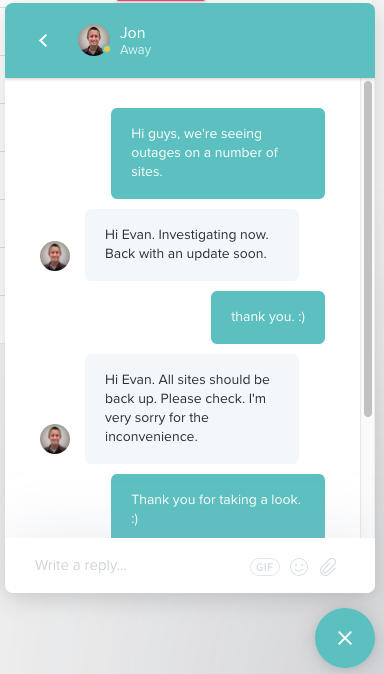 My experience has been that within minutes, one of the tech support team members will respond to let you know that a diagnostic process is underway, and if the issue is not resolved promptly you can expect to have that team member or others hop into the thread periodically to reassure that there is work progressing. Support from Kinsta has helped assure that my team and I have spent this time concentrating on being a better WordPress theme foundry… and in a backwards sort of way, that’s the highest praise that one business can offer to another.